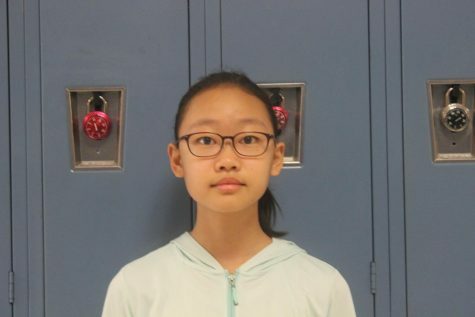 Yoonjoo is a 7th grade student who loves reading, drawing, and music. She is learning to be more comfortable with computers by working her best as a reporter at CVMS Newsmedia. She wants to know more about friends` interests and other things all around her and tries to be a better person by working her best. Her interests are mostly about books, orchestra/band, art, and writing. Her dream is to be a writer, to write stories that give some people time to think about a whole new world created in their imagination.